Short or long, vacations require a bit of planning to help ensure that they are as enjoyable as they can be. One of the biggest hassles when traveling is trying to remember everything you need to make your trip go as smoothly as possible. And if you are traveling with kids, the complexity just multiplied – getting from point A to point B can be a lot more challenging with little ones in tow. Last fall, we had a great guest post on the blog about traveling with kids on a two-week vacation to Europe, and we got a great response. Building on that blog post, we’ve put together a free downloadable pdf that has all sorts of great tips and tricks for traveling with kids, as well as lots of handy checklists. The checklists also have room for you to write down your own items, because while traveling with kids has a lot of similarities, every kid is different and might need a few extra things that only you know about – like their special blanket, or an extra battery pack for the tablet that they burn out every time they play games. You can get this amazing pdf for free right here, just by signing up for our newsletter. And if you aren’t traveling with kids this year but know someone who is, send them the link! They will thank you for it. After all, who wouldn’t love to have packing checklists geared to them and their family? Want to save this on Pinterest? Great idea! The lazy days of summer are anything but at Eucalan HQ! Right now, we’re preparing to head to New York City for CurveNY, the lingerie trade show! It’s taking place August 2-4, 2015 at the Javits Center in Manhattan, and we’ll be in booth #355 (click here to book an appointment with us ahead of time if you plan to attend). After that, we’ll be heading to Las Vegas for CurveNV at Magic, August 17-19, 2015 – look for Eucalan in booth #77329. We’re looking forward to seeing what’s new for Spring and Summer 2016 from the top brands in lingerie, loungewear and more! We’ve also been busy awarding prizes as part of our 25th Anniversary Giveaway extravaganza, which is happening now through September 30, 2015! There are still plenty of opportunities for you to win a prize (click here for details on our previous blog post); below are the latest winning photo submissions to inspire you! Remember to post your photo using the #EucalanFan hashtag so that you can be entered in our prize drawing! To celebrate our 25th Anniversary, we’re giving the gift of Eucalan to YOU! We know we wouldn’t be celebrating this milestone if it weren’t for our fans, and so we’ll be randomly selecting prize winners now through September 30, 2015 to win 1 of 25 Getaway Gang sets. 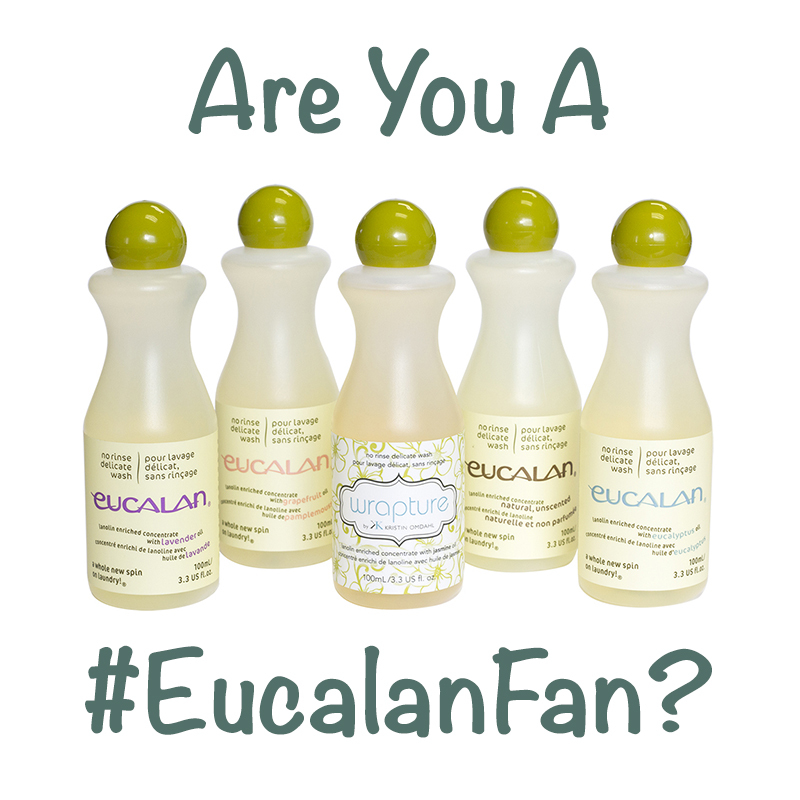 To be eligible, simply post a photo of your Eucalan in action using the hashtag #EucalanFan. You can post your entry on any social media channel and enter as many times as you want – we encourage you to get creative! As long as you have used #EucalanFan in your post, we will be able to find your photo and enter it into our prize drawing. We will randomly announce winners throughout the duration of this contest (July 7-Sept. 30, 2015) – plus, we’ll tag the account you used for your entry so that you can let us know where to ship your prize! Please note, this contest is open to US and Canada only. Thanks for 25 fabulous years! We're gearing up for two exciting events next month, CurveNY and CurveNV! Be sure to drop by the Eucalan booth to see our hot new product for fall – you're going to love it! We're also giving away a year's supply of Eucalan on our Facebook fan page – that's FIVE 16.9 oz. bottles in each of our scent selections: Wrapture (jasmine), Eucalyptus,Lavender, Grapefruit and Unscented! Be sure to spread the word and tell your friends, we'll be randomly selecting one lucky winner to announce on Friday, August 2! Good luck! Spring is just around the corner (we hope! ), and our newest jasmine scent Wrapture is a great way to give it a warm welcome, don't you think? 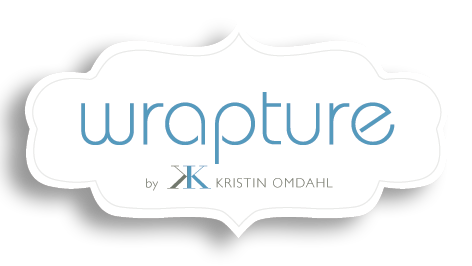 Three of our readers will get to test out our theory: Jessica A., Sharon P. and Jeane C. have all won 100mL bottles of Wrapture in this month's Pin & Win contest! We will contact each winner to arrange delivery of their prize. Click on each image above to view tutorials! The five laundry lessons below also receive honourable mention; a few savvy readers pinned these tutorials, all of which are great ways to save money by washing dry clean only and other special-care items with Eucalan. Click on the images below to find out more! Pin & Win with Eucalan! There are plenty of ways to use Eucalan's no-rinse formula to wash just about everything you can think of, such as lingerie, winter woolens, baby items, and more! If you have a laundry conundrum, we have several quick and easy tutorials on our website to make laundry day a breeze – click here to view them all! 1. Pin your favourite tutorial from this page onto any of your own Pinterest boards. 2. Leave a comment on this blog post sharing a link to your pin and an email address or Ravelry ID so that we can contact you if you win. That's all you have to do! We'll randomly pick our winners on Friday, March 29th from the comments on this post using a Random Number Generator. Good luck! We're proud to sponsor a unique contest hosted by Colleen Babcock of The Magic Bean blog and The Doll Street Dreamers; The Re-Imagine History Challenge is your chance to win great prizes while flexing your creative muscles. Entrants are challenged to reinvent a historical era to completely reinvent the past – or even the future! 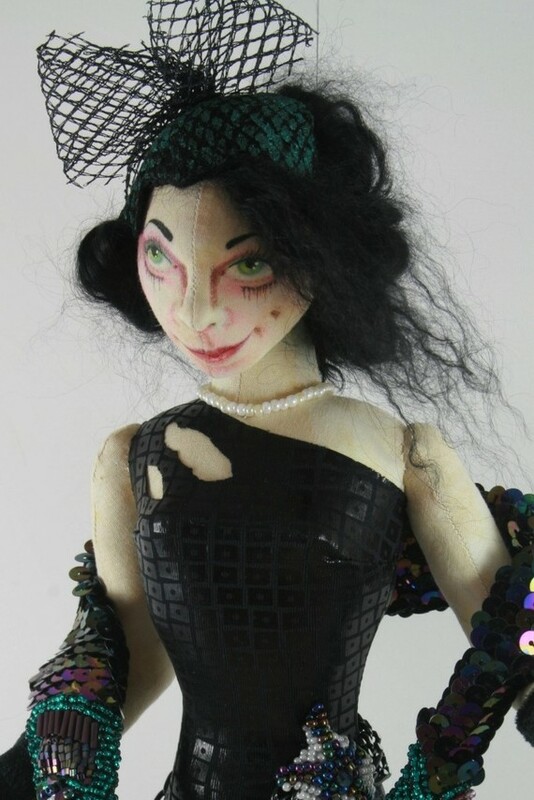 You may recall Colleen's adorable free tutorial on how to turn a Eucalan bottle into a doll which we shared with you last year. 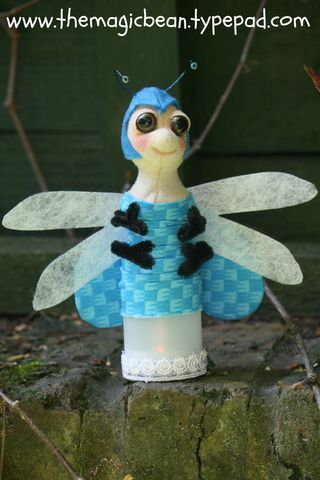 She's done it again with her latest tutorial which shows you how to make an adorable lightning bug night light using an empty bottle of Eucalan (shown below). Colleen also has several patterns for sale on Craftsy and Etsy in addition to her free tutorials on her blog. If you need a little inspiration for your contest entry (such as Colleen's Fathoms, A Deep Sea Mermaid Cloth Doll shown at right), be sure to pay a visit to The Magic Bean! Most Imaginative Concept - This prize is to be judged on concept only, not the execution of the doll, so imagination counts here, not experience! There are tons of great prizes that have been donated by Eucalan, Fairfield, Colleen Babcock, Doll Street, and Studio Galli. Your entry can be an original design or from a pattern, so long as you credit the original designer; for full contest rules, click here. Entries are due on June 15th – good luck! Please e-mail info@eucalan.com with your shipping information so we can get your prizes out as soon as possible! Stay tuned for more giveaways next month; we'll keep you up-to-date on Facebook, Ravelry and Twitter! "Best baby tip…just go with the flow and expect the unexpected. Plus keep wipes and diapers in your purse, car, and every level of your home, because new baby explosions don't wait for anything!" 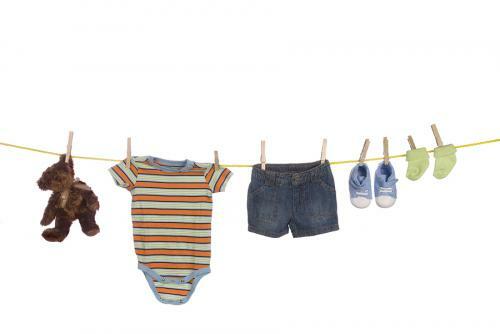 -Angie S.
"I use Eucalan on my baby items so they are not faded from normal detergents." -Victoria B. We'd like to share yet another use for Eucalan when caring for your little one: washing a teddy bear! Invariably, your child's favorite friends will need a bath – and Eucalan is the perfect way to gently clean and care for stuffed animals of every persuasion! Click here to view more helpful tutorials on the Eucalan YouTube Channel. April showers bring baby showers…and a giveaway! Springtime means new beginnings – and whether that's in the form of spring cleaning, a wedding, or baby showers, we've got you covered. This month, we'll be sharing our favourite uses for Eucalan when it comes to caring for little ones – and giving away fantastic Eucalan prizes so you can see for yourself just how versatile our no-rinse wash can be! Eucalan is a wonderfully mild soap, gentle enough to be used to care for all your babies favourite things – we recommend Lavender for its relaxing aroma as well as its natural antiseptic properties. Read on for time-saving tips as well as your chance to WIN one of two prizes so you can see for yourself! Caring for Wool Soakers – Parents who choose earth-friendly cloth diapers will love Eucalan to use between lanolizing wool diaper covers. Not only does Eucalan wash and sanitize soiled covers, it helps prolong the lanolizing, keeping wool covers soft for baby! Click here for full instructions. Washing Stuffed Animals – Eucalan brightens and cleans favourite stuffed animals. A little elbow grease has to be used for particularly soiled stuffies, but its worth the effort when your little one cuddles up with their best friend again. Click here for detailed instructions. Cleaning Blankies and other items – Keep blankies and other items that are in close contact with baby clean and sanitary with our naturally antiseptic Lavender wash. Click here for instructions. Washing Nursing Bras – Nursing bras should be washed between every use to keep them clean and help them maintain their shape. Washing does not deteriorate bras; body oils, lotions and potions, milk from unexpected "let down" and simply wearing your bra contributes to fibre wear and tear. Washing keeps fibres clean and helps elastic maintain its original tension – click here for step-by-step instructions. Diaper Bag Essentials – Our stain-treating towelettes are an essential item for every diaper bag. It never fails, when you're dressed up and away from home, your baby will either spit up on your clothes or his/her own outfit. 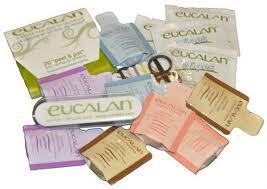 A Eucalan wipe kept handy in your diaper bag will save the situation! Click here for detailed instructions. 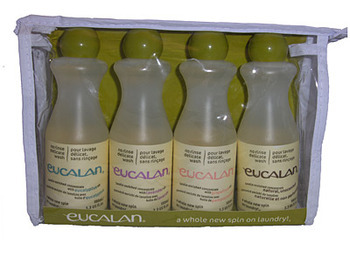 1 Eucalan Gift Pack (pictured below), containing four 3 oz. bottles of Eucalan in each of our three scents plus one unscented – great for travel or stashing at grandparents' house! 1 Getaway Gang (pictured above right), containing everything you need for on-the-go care: Contains 2 each of the individual use singles (eucalyptus,lavender,grapefruit,unscented), 4 wipes, 1 pack lint removers, 1 nail file and 1 sewing kit in a re-usable vinyl zipper bag. Fits perfectly into your diaper bag for busy parents on the move! To enter, leave a comment sharing your favourite baby care tip OR why you'd like to give Eucalan a try! To double your chances of winning, you can also follow our blog by clicking the "follow" button on the right sidebar. We'll randomly choose two lucky winners on Friday, April 27. Be sure to follow us on Twitter or become a fan on Facebook for more chances to win great prizes this month. Good luck!